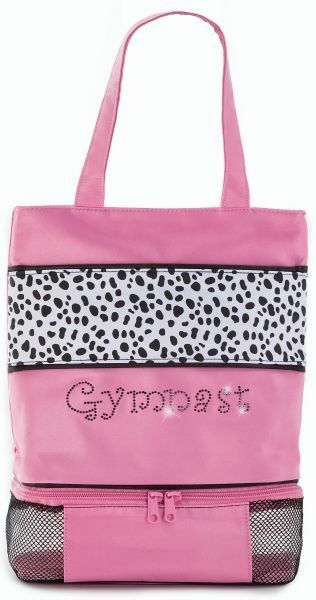 Home / Dance / Totes-Duffels-Backpacks / DAL-01GYM Dalmatian Gymnastic Tote – ON SALE NOW! Dalmatian Gymnastic Tote – ON SALE NOW! Stylish GYMNAST bag. Beautifully screen printed Dalmatian design with zippered, vented shoe compartment in the bottom. “Gymnast” is spelled out in black rhinestones. Microfiber material wipes clean with a damp cloth. Can be personalized.